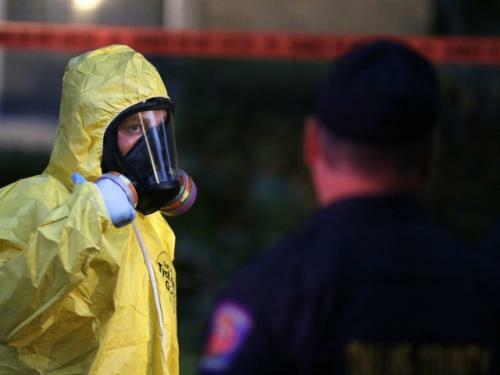 Is Ebola Merely A Scare Tactic? : Is This Mystery Man Immune From Ebola? A man in plain clothes without a hazmat suit or any protection whatsoever helped suited up workers transport Ebola victim Amber Vinson from Dallas Love Field. This is after CDC ok'd the nurse to fly to Cleveland and back. 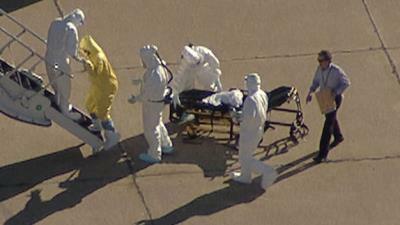 AND allowing the plane to make FIVE more flights before cleaning and decontamination. This is sounding and looking increasingly fishy. Either the CDC is entirely inept at contamination control procedures or this is a hoax scare tactic with alternate motivations. The video has people asking why the man was unprotected while the workers wore respirators.